One of my many hobbies is collecting toy figures and statues. 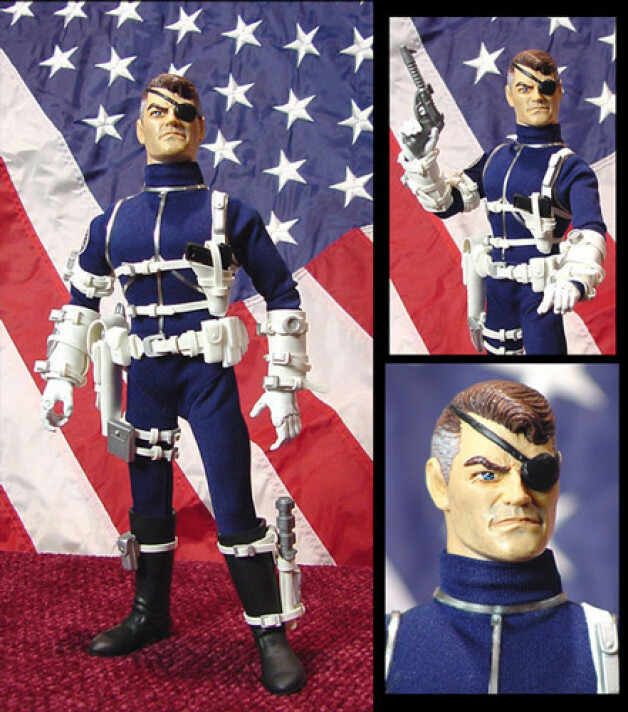 Nick Fury has always been a favorite character. There were no decent Fury action figures, so I decided to make my own. I sculpted and painted a custom head and also created the suit and accessories.